One of the most beautiful cities in Lombardy, Bergamo is divided into two parts, Bergamo Bassa (lower city) and Bergamo Alta (upper city). Bergamo Alta, in particular, is characterized by a strong medieval mark, also accentuated by the mighty Venetian walls that make it a wonderful architectonic and historic jewel. Piazza Vecchia (Old Square) is the symbol of the city, with the Palazzo della Ragione, the Civic Tower (also called Campanone), the Public Library and the Contarini Fountain (XVIII century). On the Southern side of Piazza Vecchia we can admire the Cathedral, the Basilica di Santa Maria Maggiore - where the famous musician Gaetano Doninzetti is buried - the Colleoni Chapel and the Baptistry (1340). 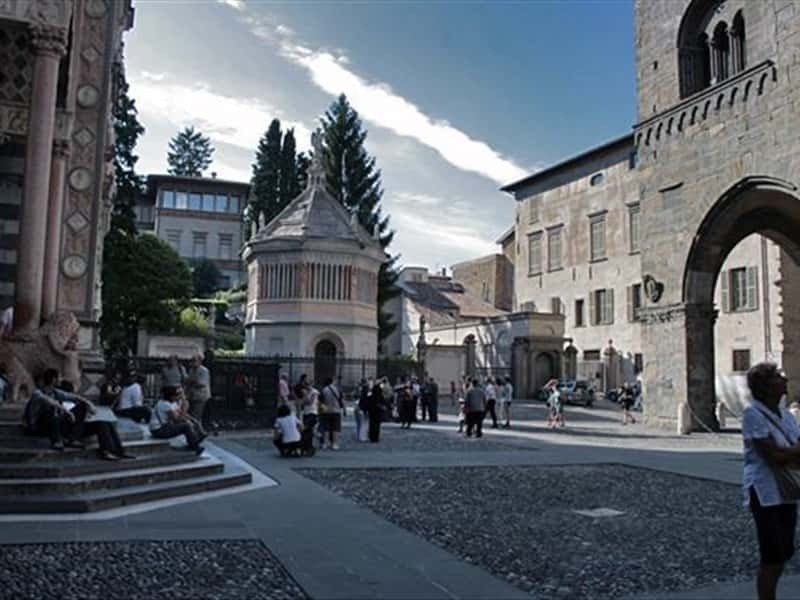 Bergamo Bassa, modern and busy, houses the Theater, dedicated to Doninzetti, the Doninzetti's Museum, the Gallery of Modern and Contemporary Art, the Diocesan Museum, the History Museum, the Natural Science Museum, the Botanic Garden and the Matris Domini Museum. This town web page has been visited 56,810 times.